After taking a look at the luxury amenities in your kitchen, you might just be inspired to become a master chef, or at least hire one. 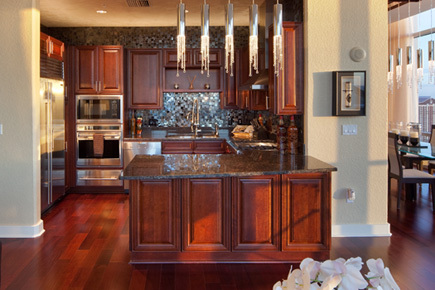 Time spent in your magnificent kitchen will be time enjoyed. Your kitchen will feature beautiful stainless steel appliances complemented by granite countertops and designer wood cabinetry. Whether you’re having a dinner party or just a meal for yourself, one thing is certain; your kitchen is innovative and inviting.